Lottoland is appealing to the Australian government to reconsider new legislation. This legislation looks to ban secondary lotteries such as Lottoland, which allow players to bet on the outcome of a lotto draw. The ban is supported by local lottery operators who claim that these bets impact their business. Their claims were encouraged by a nationwide campaign against Lottoland specifically. To add fuel to the fire, Communications Minister, Mitch Fifield, introduced the bill in March. He claimed that secondary lotteries impacted communities negatively. This led Luke Brill, the CEO of Lottoland, to offer to share 20% of each bet made with local newsagents. Unfortunately, the media campaign has been supported by the public. Thereby influencing government officials’ decisions on the ban. The ad campaign against Lottoland was funded by Tatts, and has been questioned by the foreign gambling operator. According to Luke Brill, there are a few misconceptions about his company that have been mentioned in the campaign. What’s more, he thinks that certain politicians and groups have less than pure intentions. The Australian Lotteries and Newsagents Association (ALNA) is one of the groups calling for an outright ban. 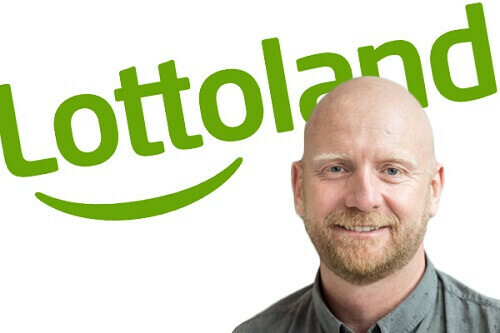 Lottoland has reportedly discovered documents submitted by the ALNA to the Australian Securities and Investments Commission (ASIC). In these unpublished documents, they claim that the ANLA misled the government. According to Brill, they only have 707 paid members, not the reported 4000 newsagents. Additionally, the organisation’s finances are in ‘disarray’ as reported by independent auditors. Of course, there is that media campaign against Lottoland orchestrated by the ALNA. This campaign included hundreds of ads against the gambling operator, on TV and in print. This ‘blitz’ accused the gambling firm of ‘threatening the livelihoods’ of local newsagents. However, Luke Brill says that this is a ‘smear campaign’ to ensure the Tabcorp-Tatts ‘monopoly’ on lotteries.